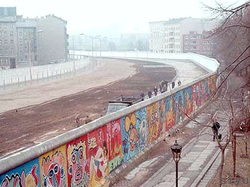 The Berlin Wall was a barrier constructed by the German Democratic Republic. It was stated that divide was to keep opposing forces out, however the real reason was to keep people in. 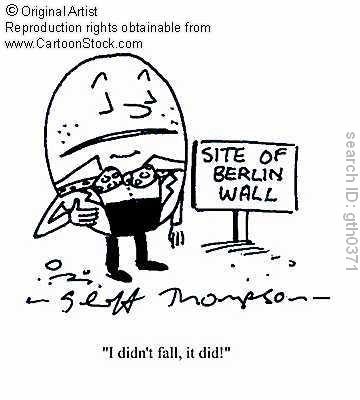 Kennedy gave the speech, "Ich bin ein Berliner"
View Live at the Berlin Wall and over 3,000,000 other topics on Qwiki.